Directions: While lying down, place your arm about 90 degrees out to the side (unless indicated by your therapist). 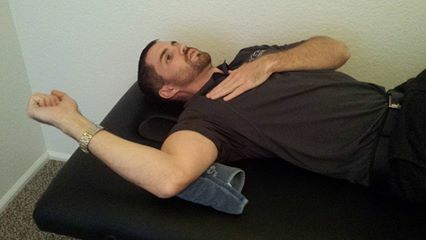 Place a towel roll under your upper arm so that your arm is parallel with the table. Slowly rotate your shoulder upwards towards your heads making sure that your shoulder does not dip backwards during the motion. 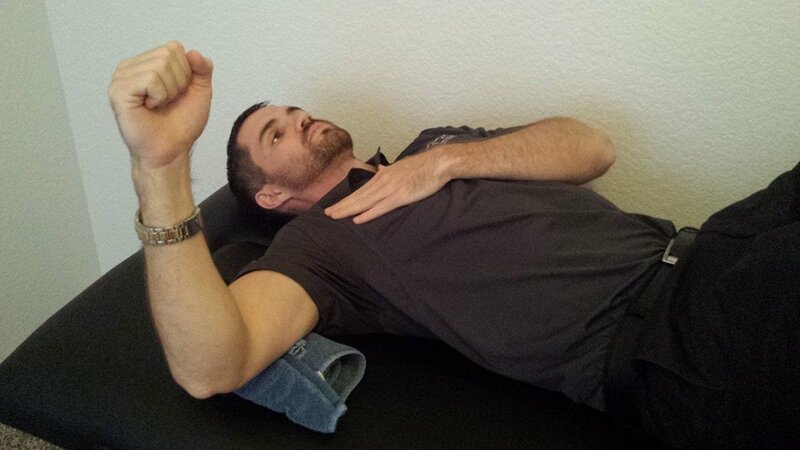 This exercise should be performed in a pain-free range.